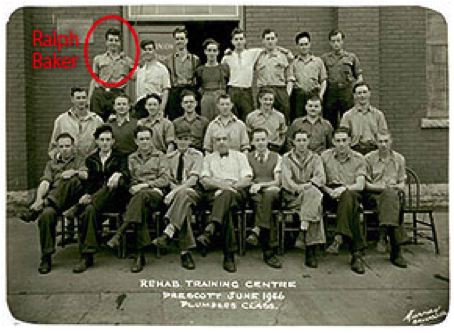 Bob Baker apprenticed with his father, Gerry, from the time he could hold a wrench and eventually received his master plumbing certificate from SAIT. Due to the boom that occurred in Calgary, Gerry and Bob thought it best to split the city into halves. Gerry would look after the NW and Bob would handle the SE. In 2000, Bob started his own company naming it R. Baker Plumbing & Heating Ltd with the intent of eventually joining both his and his dad’s company together when Gerry was ready to retire. The work load provided by their clients, meant Gerry and Bob could only collaborate on the bigger commercial jobs and both went about building the business. With the news of Gerry’s unexpected illness in early 2006, the two companies had to be rapidly joined together and the extra workload and booming economy tested the capacity of the company and its employees. The illness forced Bob to move into the city, open an office and radically change the way both companies had operated. 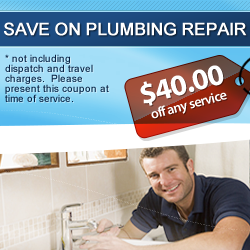 Today, Baker Plumbing continues to provide quality service to many satisfied customers around Calgary and area. While many significant obstacles have been overcome, some still remain and are the daily focus of a growing company. Bob is very focused on the many challenges business provides and is aware and proud of the history handed to him by his grandfather and dad. With that focus he is determined to carry on the excellence and longevity that is associated with the Baker name. Today Bob and his wife Julie are the proud parents of 5 children. Gerry Baker began the trade working with his father and brothers and eventually took over the family built business. His early years were spent specializing in custom homes, remodeling and service, he also operated “Bathrooms by Baker”, retail store from 1974 – 1982. He pioneered the spa industry in Calgary and was a franchise owner of Delway Pools. The economical downturn of the eighties resulted in a re-focusing of priorities, which led to the closing of the retail store and building of the remodelling business. Gerry was very successful at the remodelling business and despite the hard times for many he was able to provide very well for his wife and 6 children. During this time Gerry also expanded the company to include septic field, water distribution and treatment systems. The last few years Gerry, formed great relationships with restaurant and hotel chains and spent many years renovating and serving that industry. During the past 30 years Gerry was never too busy for family or friends, every one of four his sons spent many hours with him learning the trade and opportunities it provided. His influence will not be short lived nor easliy forgotten. After working tirelessly and living a very active life style, Gerry lost a battle with brain cancer and passed away November 2006. Ralph Baker started his career as a airplane mechanic for the Air Force during WWII. At the conclusion of the war he married his sweetheart Pearl Lebaron and shortly thereafter moved from Ottawa to Barnwell, Alberta. In June of 1946, Ralph graduated from the Rehab Training Institute in Lethbridge as a journeyman plumber. He spent several years serving the communities surrounding Lethbridge before deciding to move to Calgary, where the work and opportunities were plentiful. Ralph worked for a few outfits before starting R. Baker Plumbing in 1952, formally incorporated in 1956. Ralph spent the decade focused on residential and commercial installations and repairs, along with raising 5 children. In 1969, Ralph and Pearl decided to branch out to the bathroom speciality market and in 1970 opened up a retail store in the Southridge Mall (now Chinook Centre). During this time Doug and Gerry operated the installation and repair end of the plumbing business and both received there plumbing tickets from SAIT in 1970. In 1973, Ralph retired from the plumbing business and turned over the majority of the operations to his sons.